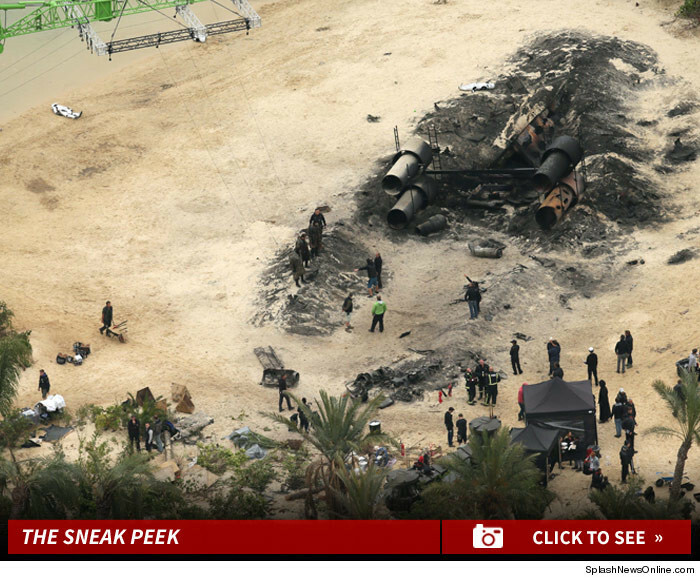 Break time's over ... the 'Star Wars' crew is back to work on the next movie -- filming a destructive scene in London. "Rogue One: A Star Wars Story" started shooting last week ... and looks like the first scene centers around a crash -- complete with dead storm troopers around the wreckage. Ummm ... spoiler alert?